JUMPER is a sleeveless dress and may be worn over a blouse or sweater. The neckline is usually cut low in front, neck and over the shoulders. Armholes are also cut a little deeper. 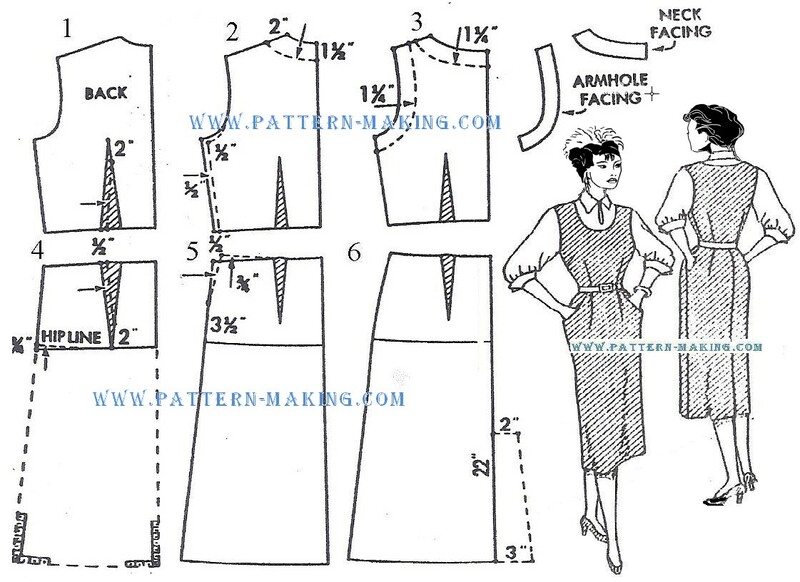 Because the bodice is sleeveless, it is made closer fitting at underarm seams. THIS STYLE features side and waist darts in front of bodice; waist darts in back. Skirt has inserted pockets in front. Also a soft pleat near each pocket opening for needed fullness over the pockets . . .